Health care reform did not go well for the White House last week. OK, it blew up. 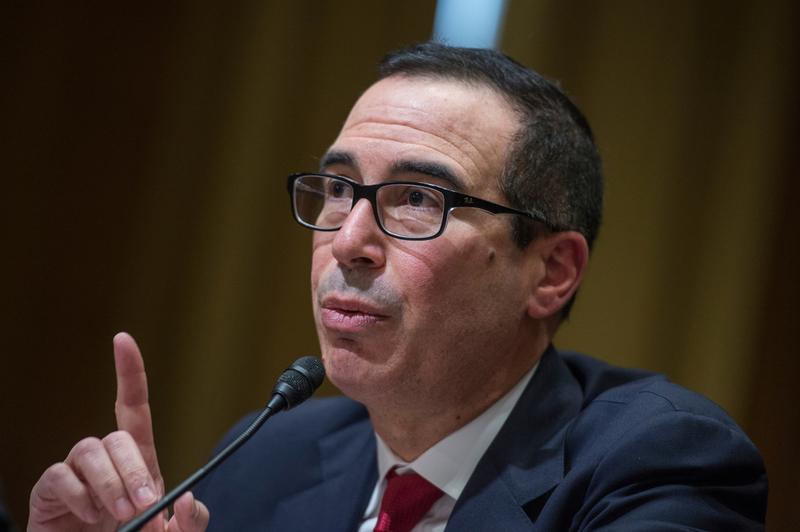 But Treasury Secretary Steve Mnuchin is still bullish about getting tax reform passed and signed by August. Really? Tax reform being simpler than health care reform, or simpler than anything at all, would probably come as news to anyone who has tried to pass tax reform recently. The entire federal government runs through the tax code, as does every American’s paycheck. Every revenue-related law in the past 30 years is embedded in the code, as is every legislative perk, favor and penalty for the last three decades. And those tax breaks everybody hates — who do you think put them there? The people in charge of getting rid of them now. The sheer complexity of tax reform, along with the disincentives for doing it, are the reasons it hasn’t happened since 1986, when President Ronald Reagan joined forces with Dan Rostenkowski, the Democratic chairman of the House Ways and Means Committee, and overhauled the tax code. The effort was bipartisan, complicated, and according to nearly everyone in Washington at the time, doomed to failure. But Reagan and Rostenkowski did get it done, and it’s instructive to see what it took for them to make “the impossible become the inevitable,” as The Washington Post described it at the time. First, it took Reagan time, a lot of time, to build an effective coalition and to keep it together. He first identified tax reform as a goal in his State of the Union address in January 1984, but it would be nearly two years later, when he finally signed the bill into law. It also took a genuine bipartisan effort to even hope to pass such a huge bill, which the iconic book “Showdown at Gucci Gulch” recounts in exhaustive detail. Although Republicans controlled the Senate, Democrats controlled the House. Regional politics were different then, but Reagan faced the same reality as Trump faced with health care — he couldn’t get a major reform done with just the votes in his own party. To get Democrats to deal on lowering tax rates, Reagan had to do more than simply ask them to agree with him. He had to make major concessions to bring them to the table and keep them there. That meant eliminating major loopholes for GOP-friendly businesses and ending income taxes for the lowest-income Americans. What followed were years of committee hearings and markups, a House GOP floor rebellion, a failed and rewritten Republican Senate bill and multiple legislative impasses. But with the help of names you’d recognize from both parties — House Speaker Tip O’Neill, Senate Majority Leader Bob Dole, Sens. Bill Bradley, D-N.J., Bob Packwood, R-Ore., Russell Long, D-La., and others — Reagan and Rostenkowski did get it done. But almost as soon as rates were cut and the code was simplified, tax rates went back up for some, stayed low for others, and the same favors and penalties that Congress cut out of the code in 1986 began to find their way back in again. Both parties agree it’s time to reform the tax code again, but getting a deal done won’t be any easier today than it was in 1986. President Trump said in February that his tax reform plans were “actually very well finalized” and we’d see something by mid-March. Lately, the administration has also floated the idea of coupling tax reform with an infrastructure package. But without the revenue from health care reform he’d expected to have in hand, it’s hard to know exactly how Trump can deliver on those promises. It’s also hard to know who in Congress he is relying on to help him make his plans a reality, especially after last week’s GOP debacle over health care reform. If the president is looking for a Democratic partner, he could start with Sen. Ron Wyden, the top Democrat on the Finance Committee who introduced bipartisan tax reform in 2010 with former GOP Sen. Judd Gregg. Wyden reintroduced it in 2011 with Sen. Dan Coats, Trump’s new director of national intelligence and said his goal was to reform the “dysfunctional, rotting mess of a carcass that we call the tax code.” Wyden’s bill was attractive enough that even The Heritage Foundation said Congress should consider it. Wyden recently has said he’d be interested in working on tax reform again, but he has panned Trump’s ideas as less an effort to make America great again, and more a plan to “make tax shelters great again,” an early warning sign that Trump and Democrats are starting from very different places on the effort. Mnuchin was right to say that health care reform and tax reform are two very different things, but without a united Republican Party, both pieces of legislation will need Democratic votes to succeed. So far, getting those votes isn’t looking simple at all.